This week: 'Transgender People, #WontBeErased' with guest Earl D. Fowlkes Jr. Earl serves as the President/CEO of the Center For Black Equity, Inc. (formerly the International Federation of Black Pride). The Center for Black Equity promotes a multi-national LGBT network dedicated to improving health and wellness opportunities, economic empowerment and equal rights while promoting individual and collective work, responsibility and self-determination. 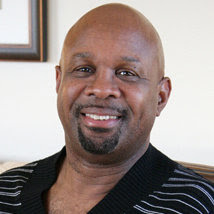 An expert on LGBT and HIV/AIDS issues, Earl has worked on health and political issues for more than 30 years.